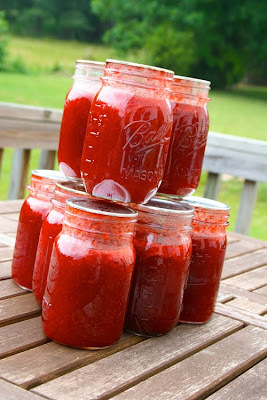 You know how we're an art family...: oh strawberries, how do I love thee! I love thee in flats straight from the market. I love thee washed up and sparkling clean. 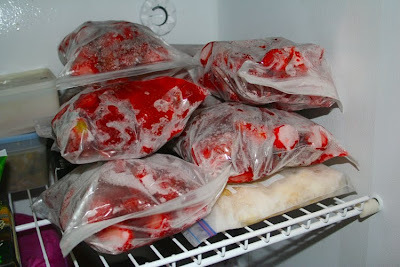 I love thee in freezer bags waiting for smoothies. I love thee on bread with my Saturday dinner. 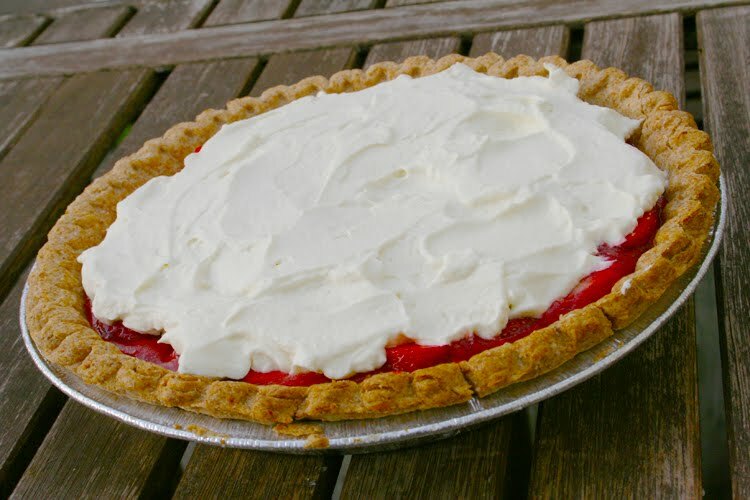 But best of all, I love thee in strawberry pie! Our locavore meal today was at dinner since I was still up to my elbows in crushed strawberries at lunch. 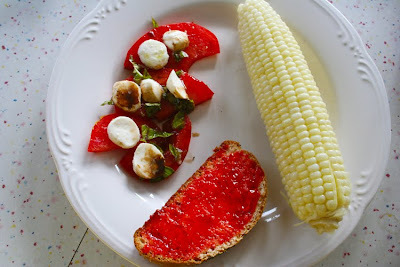 We ate tomato, mozzerella and basil salad (with basil from our backyard pots) and the first corn I've seen at the farmer's market, although it was brought up from SC, a little more than 100 miles away. 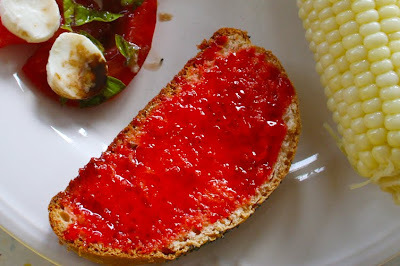 The Challah bread was locally made from locally ground grains since I knew that baking bread would be too much of a stretch in a kitchen bursting with strawberries this morning. What a good dinner! 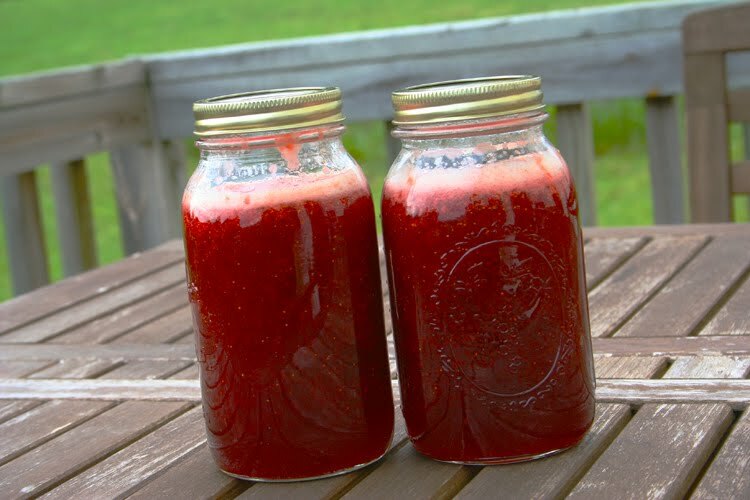 I just got my pound of Pomona pectin in the mail, my jars are ready, I just have to make a trip to the farm for a couple flats of jam berries. 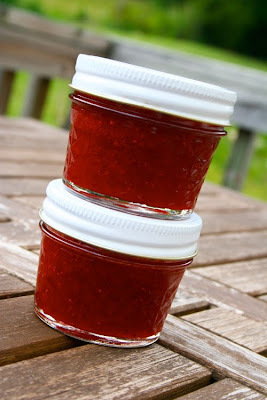 We ran out of homemade jam about a month ago, so I know I have to make more this year. Hi Joy! I can't wait for strawberry season around here-strawberry shortcake's my favorite. Mmm, You are really making me hungry! 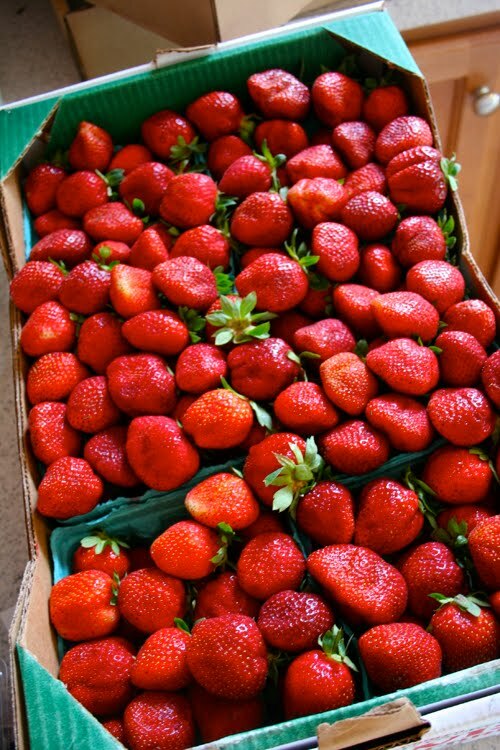 I miss really good strawberries. I grew up being able to pick my own in rural NY. They were so sweet and yummy. Living in the SW I haven't had a good one in forever! I hope to when I go home to NY this summer. They look so red! It sure looks sweet at your house right now! The kids and I recently put in a bunch of strawberry plants and my youngest found the very first ripe one today, it was a celebration! For the canned strawberries, are they done in a blender - do you add anything to them - and then do you can them? We won't have fresh strawberries from our local organic grower for another two weeks I think. 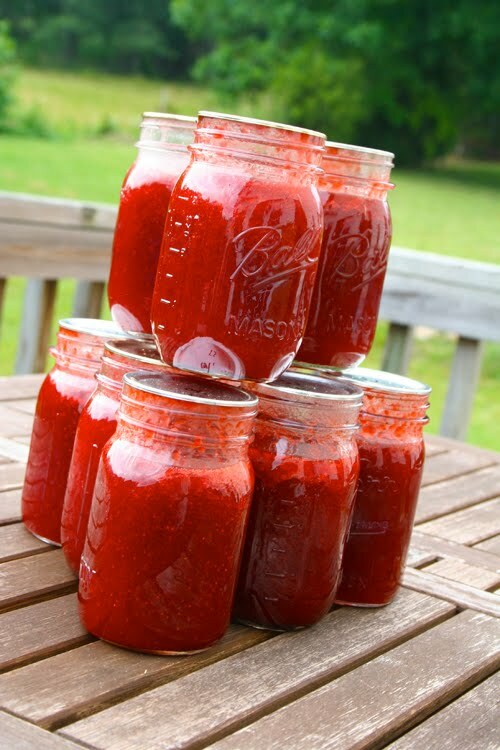 The only thing more fabulous than those beautiful photos is all the yumminess you made with those strawberries. I am trying to reach through the screen.... ! I am counting the days until strawberry season!!! Strawberry pie--yum! yummy!! 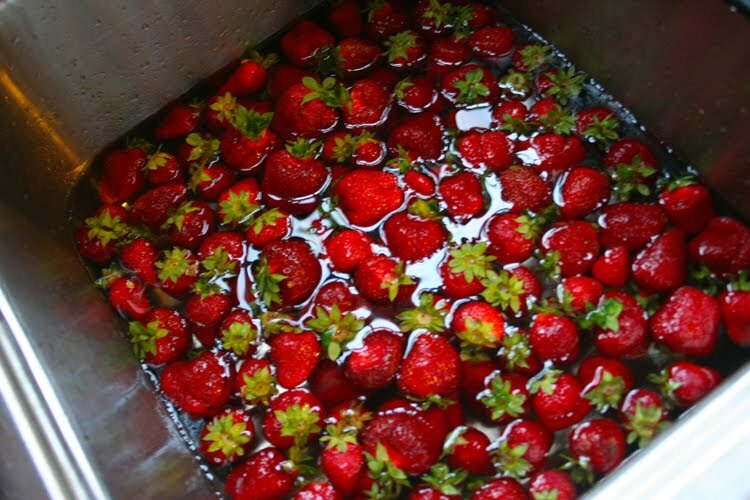 we love strawberries just as much! your locavore dinner looks delicious. there is nothing better than eating local. where would we be without farmer's markets? Those strawberries are so striking! What great photos. Oh I'm ready for strawberries here! We *need* more freezer jam and strawberry concentrate. how did you make the jam? would you mind sharing...if you have an easy recipe?! Love your ode to strawberries...I've been checking our little patch of wild ones; we ration them out for a few days till they're gone. Can't wait to go picking! Your meal made me drool...fresh and local and lovely to boot!